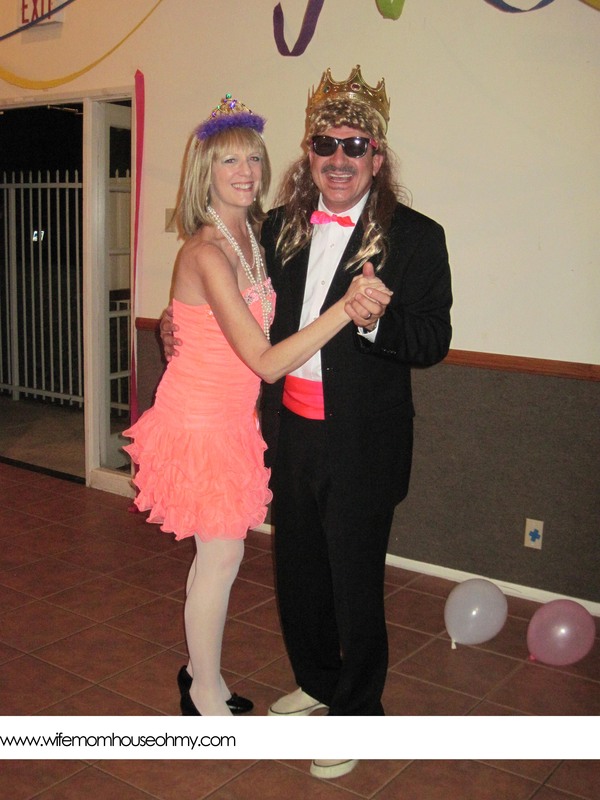 So my husband had the audacity to turn a half-century this year…I mean really…I am married to a 50 year old! Just teasing! Actually I think that’s pretty cool. He is truly “vintage” now. For about two years I have been pondering on how to make this milestone really awesome and memorable. It hit me when he was showing me his old yearbooks. 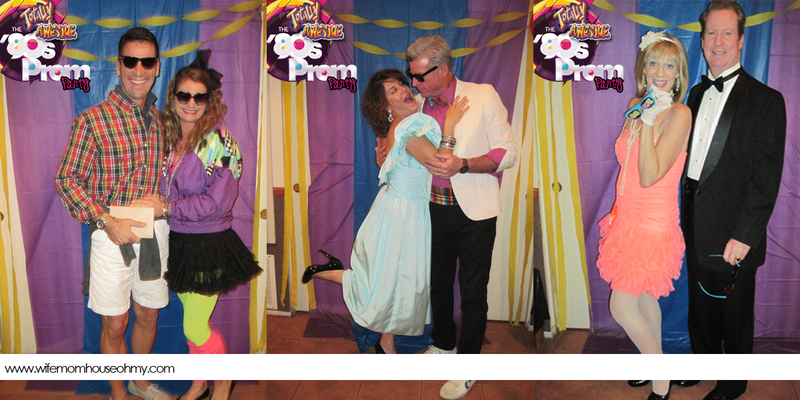 He graduated in 1982 and he often seems stuck in the past…what better than a 80s Prom Party! It was kind of a surprise. He knew I was planning a party but at first not what it was about other than his 50th. 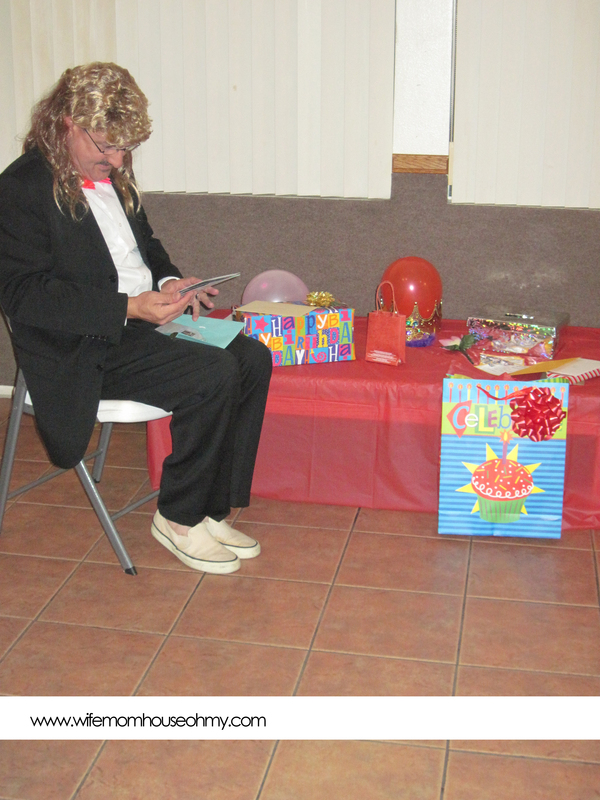 However, we had a lot going on in our lives this month so I ultimately decided to give him an invitation and tickets as a part of his “January” present (see post on Giving Your Husband a Gift of a Year of Dates) and gave it to him on his birthday which was earlier than the party. 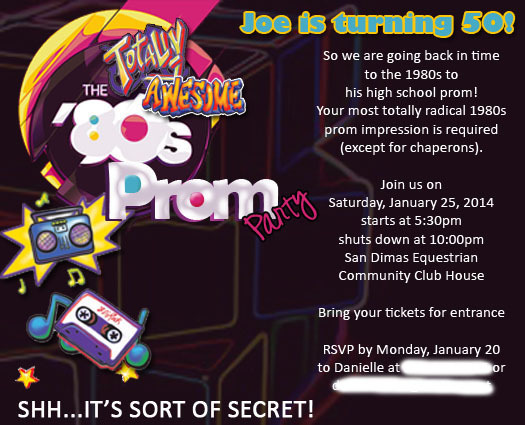 But everything started with the invitations which I designed using Photoshop. You can also order some pretty cool ones from a variety of sources. I also made cool tickets which had directions on them. Again I used Photoshop but I also added a perforated portion so when the guests came to the prom, the they could keep their portion as a souvenir and still have the real prom experience. 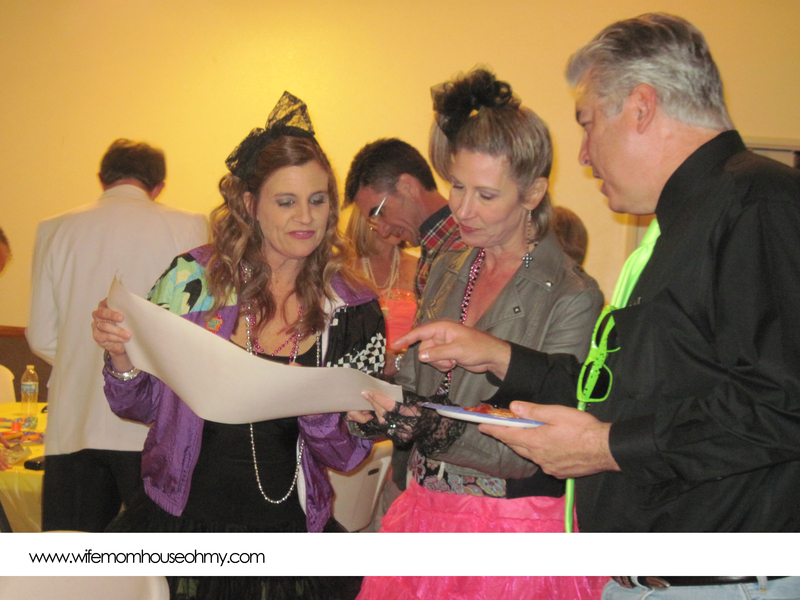 I did work with my husband to determine the guest list. 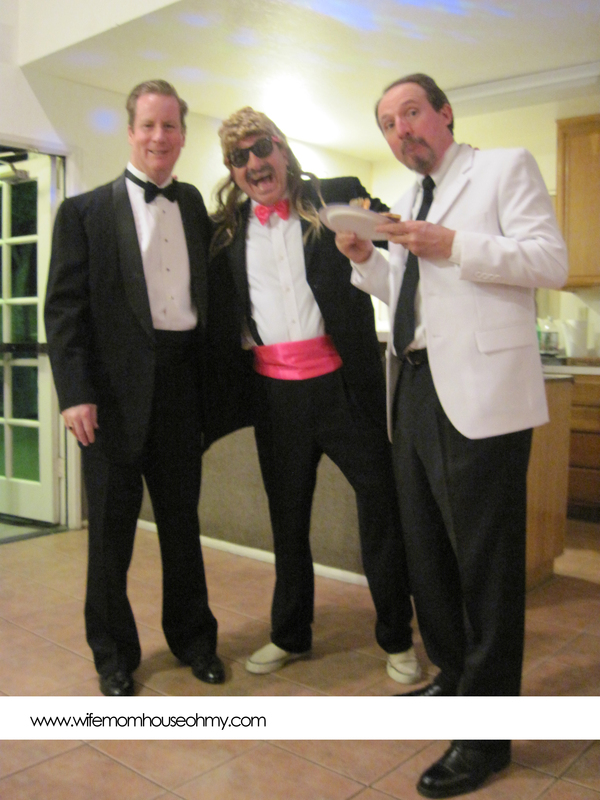 It was after all his 50th birthday so it made sense that he should have a say in who would be invited. 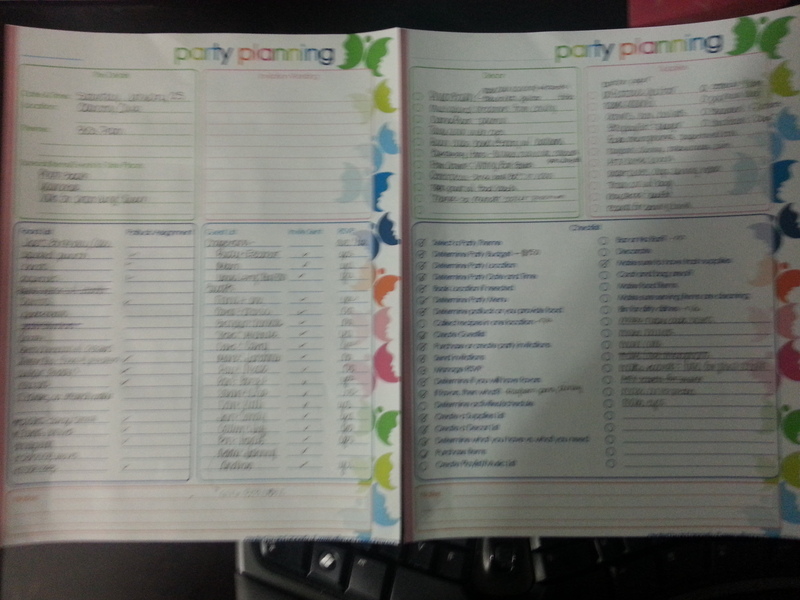 Once the invitations were sent out I used my party planning sheets to track the RSVP as well as the rest of the details. 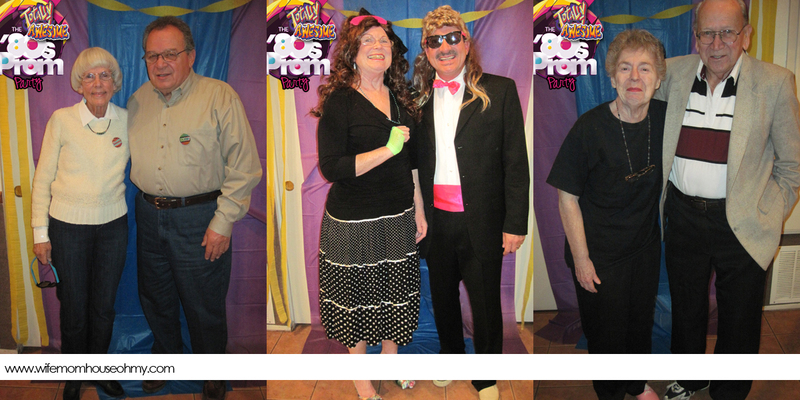 I purchased crowns for the Prom King and Queen from Party City along with some fun grab items for the guests. I also got a few from the 99 cent store. These included small slinkies, jelly bracelets, 80s tag line pins, and multicolored ray bans. I also found some cool confetti in an 80s theme to sprinkle around the tables as well as a strobe disco ball spinning light at Party City. Balloons marked the entrance for the prom and simple Mylar balloons would do wonders as floor décor. Lastly in the décor department, I picked up table clothes and streamers to use both I the traditional manner but also as a Prom Photo Backdrop for when guests came in. Food was next. So I did some research and tried to find some fun favorites from the 80s including Wax Bottles, Nerds, Sugar Babies, and Doritos. I mixed this with classic party food such as dip, pizza, and cookies as well as a prom standard…Spiked Punch. 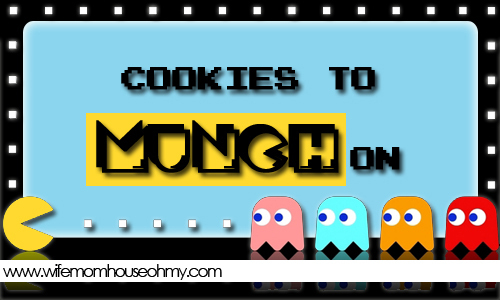 For fun, I made little labels with PacMan and the Ghosts. 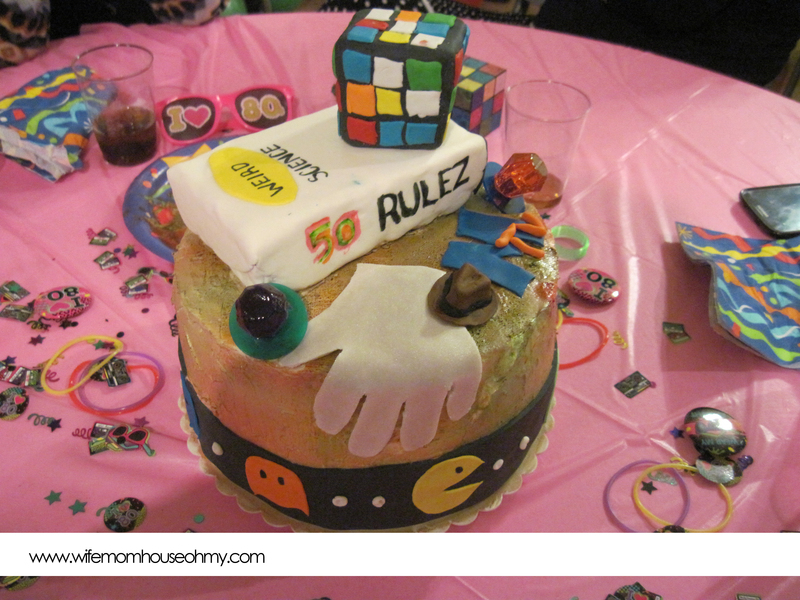 I also decided to make my husband a cake featuring classic 1980s symbols like PacMan, MTV, the Rubik Cube, Michael Jackson’s Glove, and Weird science. While not my best work at cake making and a lot of improvising as everything that could go wrong did with my cake, it still tasted awesome! I was fortunate to be able to use our community club house for our party. There was a nice bar area to set up food and drinks, plenty of tables and chairs and three “side” tables for the extras. The first table was our “DJ” station. Music is key for a prom and I needed 80s so I grabbed my iPad and download Now That’s What I Call Music 80s. We hooked up the iPad to the speakers, put on a random playlist (80 songs lasted all night) and put it in the dance floor area where the strobe was set up. 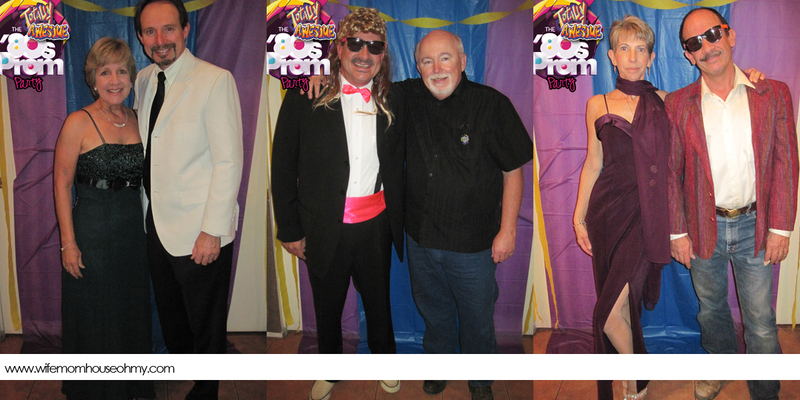 The second was for Prom King and Queen voting as well as present station. I also had pens and ballots that I made for voting. The King was a little rigged as I had several choices that were all variations of my husband’s name but I left prom queen up for grabs for any woman in attendance. The last table was an entrance table where people could grab the ray bans to wear in their prom photos. 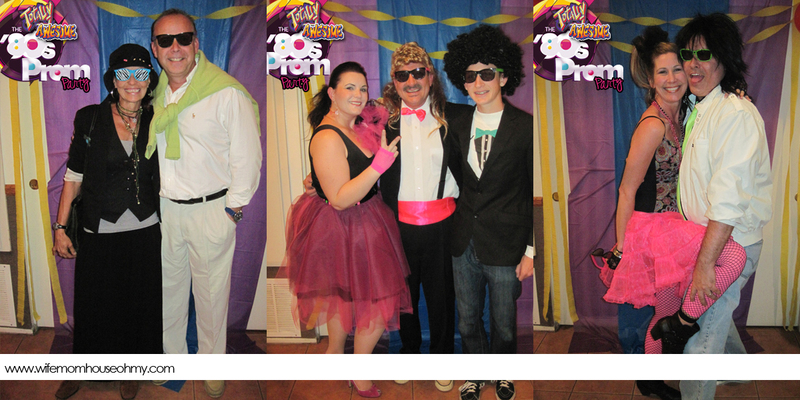 I strongly requested everyone dress in 80s attire, with the exception of our chaperons who could if they wanted. 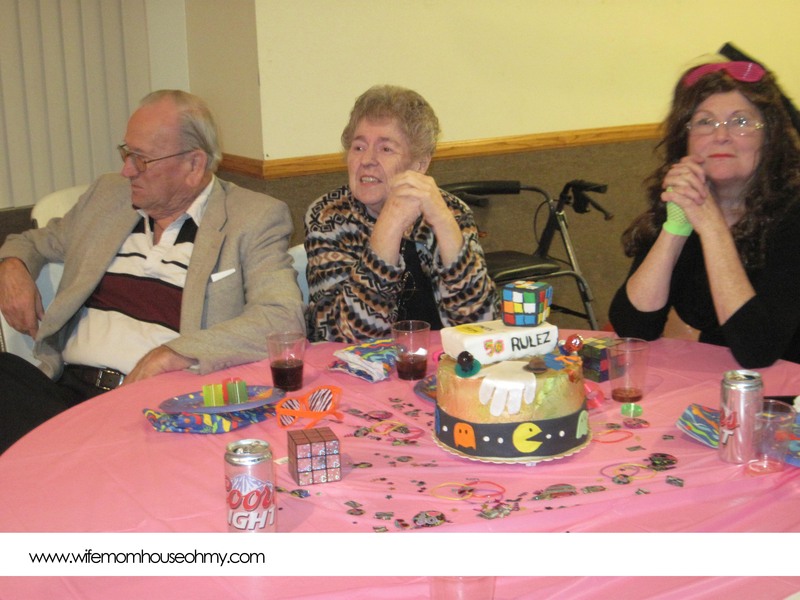 Every party needed chaperons and parents and aunts and uncles are perfect for the roll. My aunt really had fun with the idea in advance and was teasing via email and my mother came in Tiffany wig, fishnet glove and 80s chaperon worthy attire. Everyone else really got into the theme as well from 16 Candles Molly Ringwald impressions, to total Preppy, to good girl and Punk. Most people were able to get cool looks by raiding either their closets, their kids or through Thrift Store finds. I had a little help on my outfit from my mom and her amazing sewing talent. All in all it was an awesome night spent with friends and family, goofing and having fun and my husband loved it! Heck, even our 16 year old (yes and I am sweating bullets about him driving) got into it and had a blast. And boy was he a big help on pulling it off! That’s him in the fro with my husband and I.
OK. I am her mom, but this was totally awesome. What fun we had and what a great idea. I was just with her aunt and uncle yesterday and they were still talking about it. Her uncle was so impressed with Andrew, how helpful he was and how cool his wig was. Her aunt, who is pretty low key when it comes to comments, talked about the GREAT party and the fun they had. 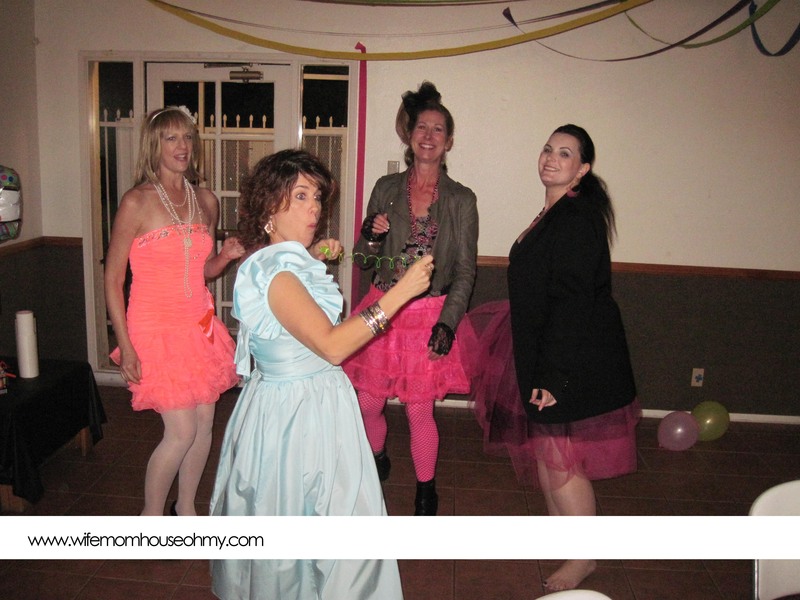 Anyone looking for a party idea to adopt or adapt could not go wrong with this one.